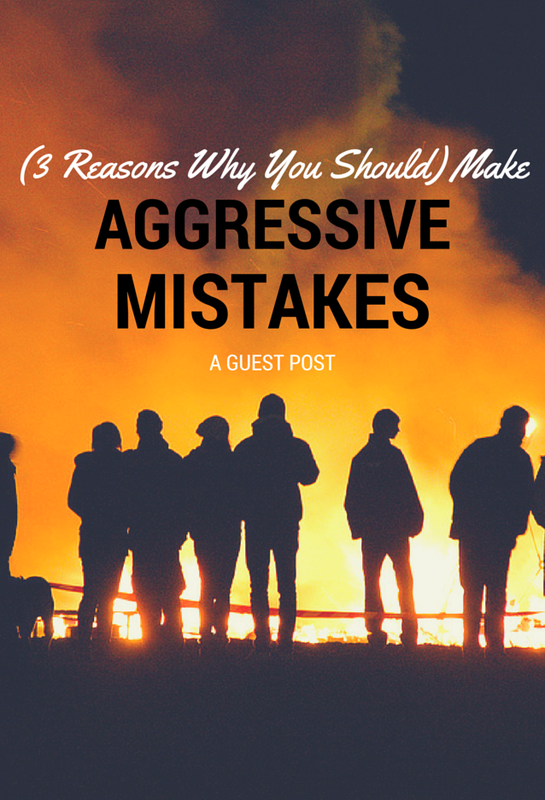 Make “aggressive mistakes.” This means “actively try things that might not work.” Being aggressive means doing, moving forward, taking ground, and owning it. Being aggressive is not the same as being careless, however. Be strategic about which avenues to explore next. Don’t try too many at once. Don’t let yourself get overwhelmed. Just don’t sit around and wait for readers, editors, and agents come to you. Be out there, taking ground on the Internet. You’ll become more confident in yourself as a writer. Writing, as a career, is a weird thing. Until you become JK Rowling or Stephen King, your name means nothing to anyone, not even to your family. That’s right, even your loving family probably thinks you’re a joke, dropping subtle hints like mentioning job openings or trying to commandeer your writing time because technically it’s your “off day.” Chances are some of this has rubbed off on you. You, my friend, need a confidence boost. You need to own being a writer. As soon as you start aggressively taking charge of yourself and your name as a writer you’ll start to believe it too. You’ll become even more inspired. The more you try, the more you’ll learn and with each new venture you’ll get new ideas. You’ll think to yourself, “This is so cool, but maybe this could work too” or “What if I combine these?” You might even find different homes for different works or be inspired to write your next great novel. You’ll find your voice and your audience. I think your “brand” (as it’s been called) and your “voice” are the same. When you start out on your journey towards authorship, you begin with a meager draft or half of a draft or maybe even only a vague concept. You probably haven’t thought about color schemes or your personal log line and things like that. You might be unsure of who you are as a writer. The more aggressive mistakes you make, the clearer this will become. You’ll discover which avenues you’re passionate about and grow to understand your mission. This is when you’ll find your readers. They’ll be drawn to your voice and your passion. Below are a few options to get you started. Research them, try one or two for a while, see where they take you. Karah Rachelle is a YA and NA writer. She mostly writes romantic comedies. You can visit her website at karahrachelle.com, say, “hi” on Twitter @EllieVersus, or read some early drafts on Wattpad at KarahRachelle. Thanks so much for stopping by, Karah!